Another year, another stuffing recipe. 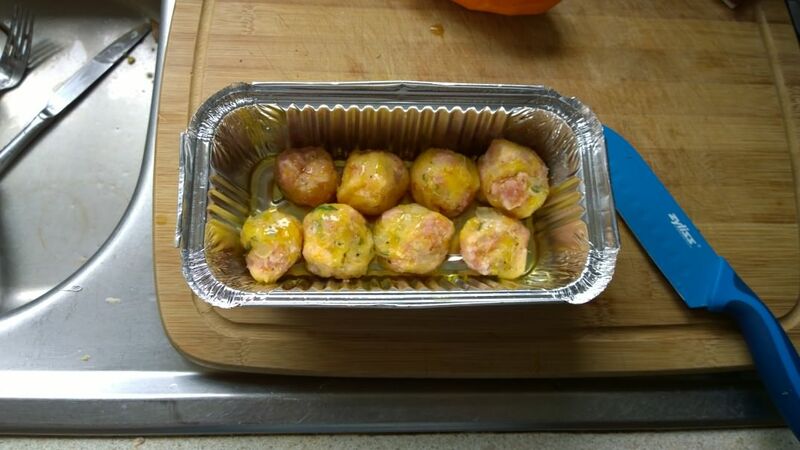 Harlequin stuffing, familiar? 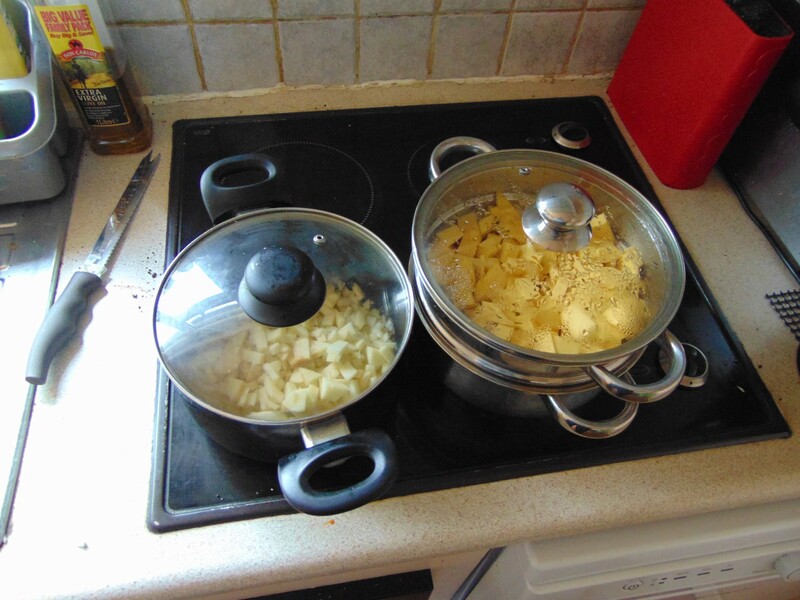 We’re back with another potato recipe, traditional Irish recipe at that, being converted into a harlequin one. This time we’ve ditched the sausage and opted for apple. Now, less of this we, dear reader, it’s my show. I found I couldn’t tolerate pork, doubt I ever could, why? Who knows. Why is there so much Jack can’t eat and yet he has so many recipes? He’s a wonder, humble too. Stuffing varies from place to place, I see it often online as this bread cube lumpy concoction and that isn’t the stuffing I grew up with. This is childhood taste revisited, or as close as I can make it. Stuffing was mashed potato, onion, sage, rarely fresh, but I like it fresh, and sausage. It was billowy, creamy and crusty on top and delicious. It has been a long time since I have had it. Last year I made a meat version, this year, aside from the butter but margarine could replace, I never list until I’ve tried and soy allergy stops that trial, but you’re creative dear readers, I know you’ll manage. Er, rambling there, sorry, aside from the butter it could easily be vegan. I tried it unbaked and it is worth making. Tomorrow I’ll bake it and add a photo if I remember. Rake the tops and hope for crusty stuffing. The taste of childhood revisited. So, yeah, addressing the giant berry in the room, you need harlequin for this. It’s the best potato substitute I’ve ever eaten. 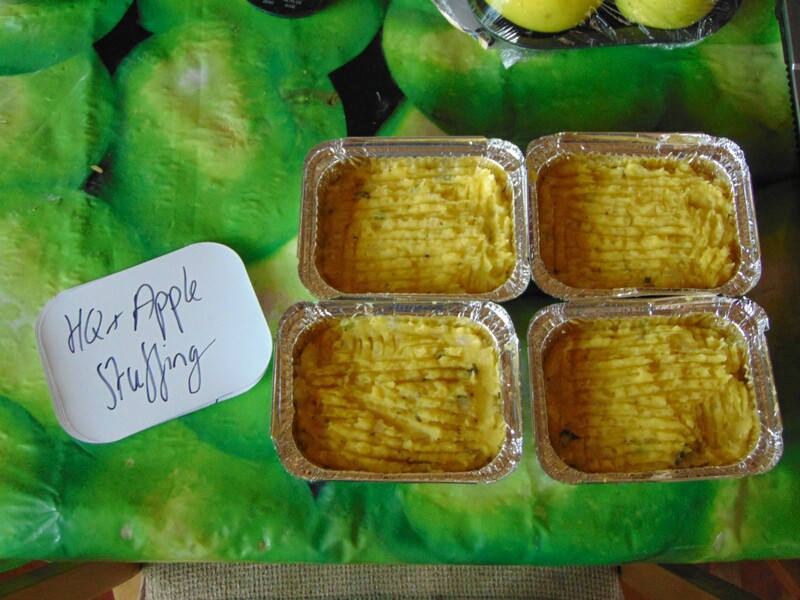 It’s dry at first when you’ve freshly steamed it, but add the buttery onion and apple, a delicious aromatic variation I have to admit, and suddenly it’s this creamy, fluffy mixture. My sage wasn’t in it’s prime and I had to add a little dried to up the taste, but you could use all dry if you can’t get fresh, use a third of what’d you use in fresh. Three ingredients are from my garden. The squash, sage and onion. There is a huge benefit over the pork version, you can freeze this. My Mother warmed me of freezing sausage meat and I stay away from it, this though can be frozen. Handy as it does make quite a bit. I went by the squash, but you can adjust it as you see fit. Try other vegetables and let me know how it fared. I’ll see you again, dear reader. 1. Steam the Harlequin Squash and place into a bowl, Mash and set aside. 2. Chop the Onion and Apple finely and fry in Butter until Onion is translucent and Apple tender. Add the Onion and Apple mix, Sage, Salt and Pepper to the Harlequin Squash and mash everything together. Taste test and add more Sage, Dried if there’s no more Fresh, if required. 3. Scoop mixture into a greased baking dish and smooth down. Bake at 200c (Fan) for half an hour. For a crispier top grill for the final 5 minutes. 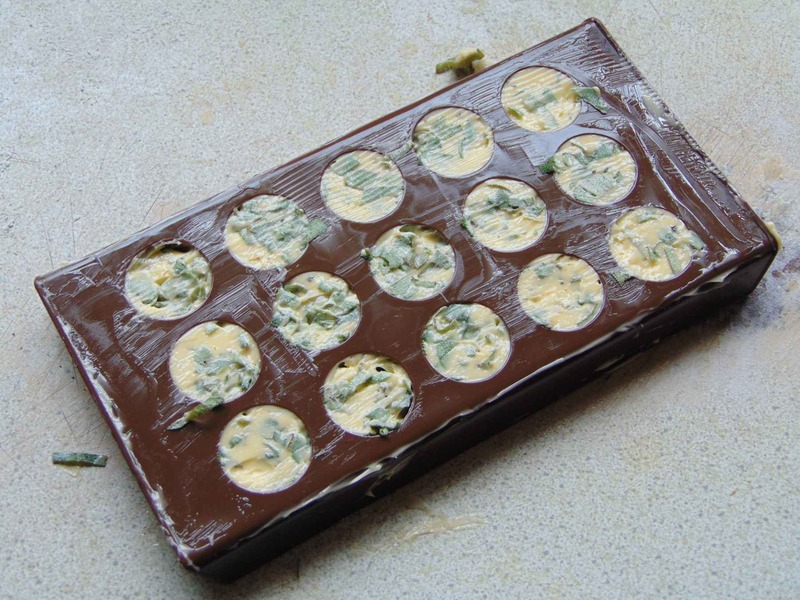 If freezing divide and freeze in tin trays. It’s rare I have everything needed just hanging around. There’s not really a whole lot to this, there’s a long list of ingredients, but you’ll just be boiling and simmering. My sauce was a little thin, but as I’m reheating it I’d rather leave it that way, basically if you’d rather a thicker sauce just boil it rather than simmer it, the consistency before you add the nuts and raspberries won’t be that different after you add them. Boiling it before means you won’t lose the fresh taste of the final additions. Like I said I’m using frozen raspberries, I was weary that the seeds wold be distracting, but thanks to the pecans you hardly notice them. It’s a thin sauce with a chunky texture, it’s really varied in every regard, the taste is where this shines. I’m no great taster, but even I could appreciate this. 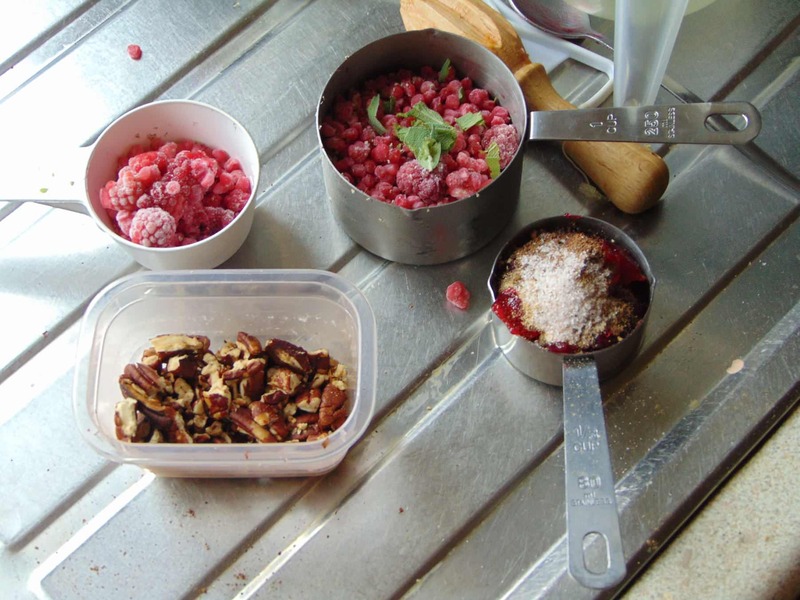 There’s a tartness from the raspberries, with an underlying sweetness from the jelly, contrasted by the acidic orange, the warm spices hit alongside the nuttiness of the toasted pecans, it all comes in order as if planned. For a few ingredients tossed into a pot the gestalt of this sauce is far far greater than I’d have expected. In saying that, Jack popping up again, it’s still just a sauce, simple to prepare, so don’t think you need anything special to prepare this, fiddle with it and see what you can make of it. It’s a fun way to use berries that would have just ended up as jam. I’m just saying that if you’re new to cooking or struggling to find new dishes to suit your diet then don’t be afraid to try. Failure teaches and you’ll be surprised at how often you’ll succeed when you try. Okay, I’ll see you soon, dear reader and don’t forget that duck. Not so fancy, but still delicious. 1. 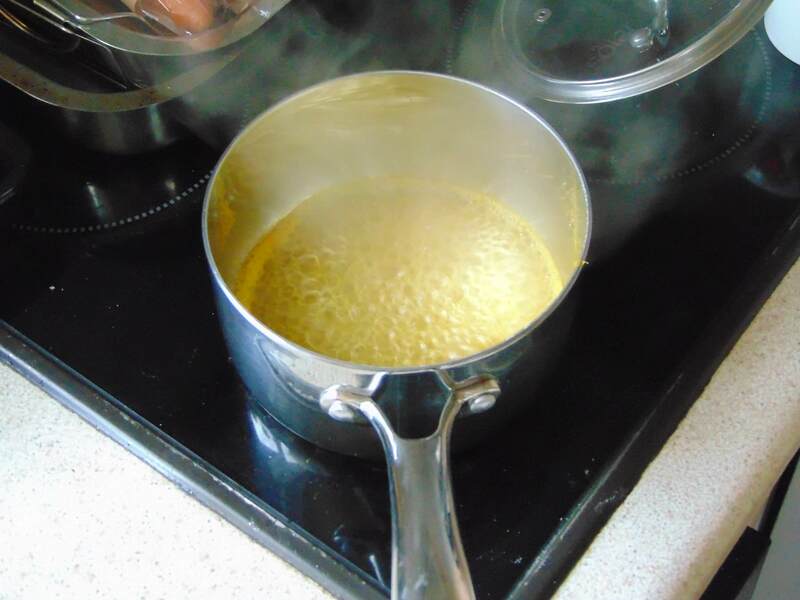 Add the Orange Juice and Chicken Stock to a pot, heat on high and boil, uncovered, until sauce has reduced to about 60ml or 1/4 Cup. 2. 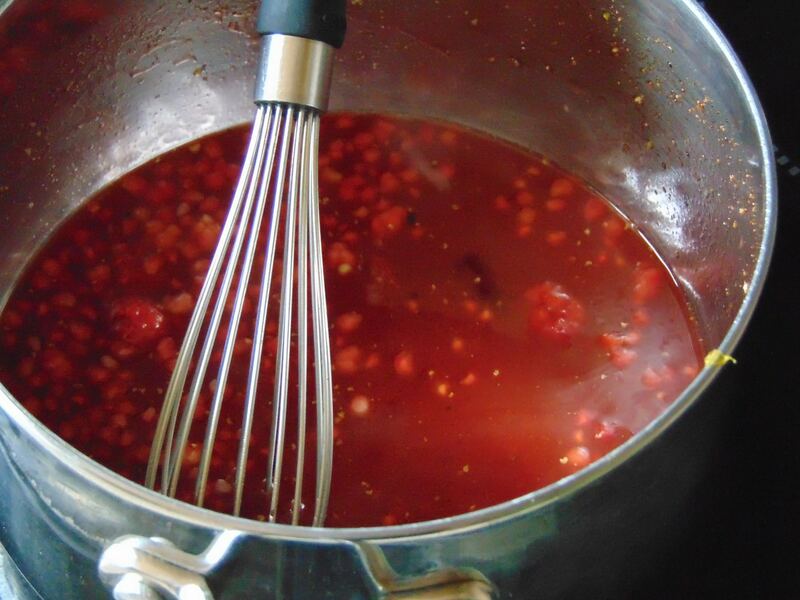 Add 1/4 of the Raspberries, Raspberry Jelly, Ginger, Allspice and Salt. Whisk everything together, reduce to a simmer and cook for 5 minutes. 3. 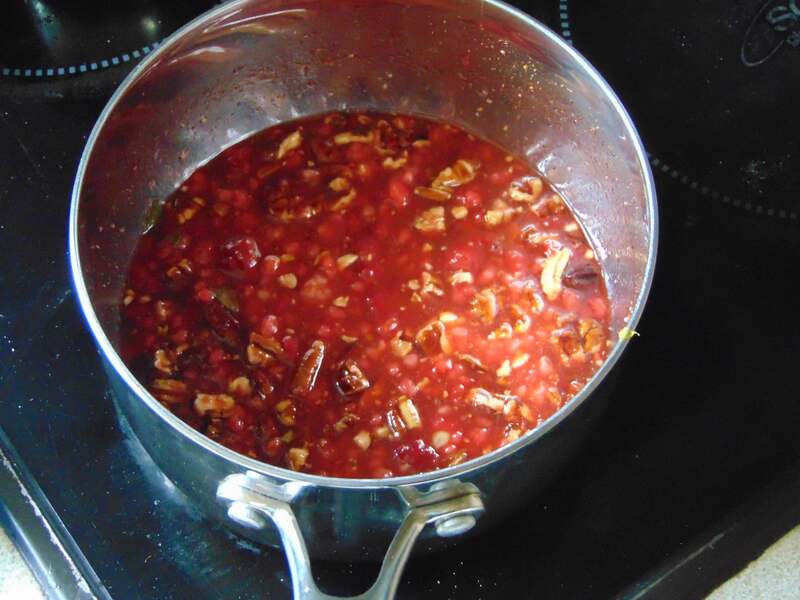 Remove from heat and add Butter, whisk until melted then add Pecans, reaming Raspberries and Sage. Stir everything together, return to the heat and bring to a boil, cook until heated through. Pour over meat. It’s rather colourful, isn’t it? Etc Etc, writing down recipe or exact amounts aren’t common methods with Irish Mammies. At least not mine. Thankfully it passed the test with her too. There aren’t a slew of Traditional Irish recipes, I have a handful here and there, but it’s a problem of a lot of Traditional Food being so basic it’s near impossible to adapt to my diet or it comes from a packet and you can’t exactly replicate that. There’s always confusion to what we eat. Simple fare and foreign dishes seem to sum it up. Chances are you may have a weird idea of the Irish. I blame movies. This stuffing is a real Irish recipe, simple, but versatile. It can be a side dish, balled if you use potato, probably I’m not one hundred percent sure, and can be used to stuff a chicken or a breast. If you can eat potato just swap it for the squash. Other squash won’t work the same here. Not to say you can’t, they just won’t taste the same. Foil trays because the kitchen is being renovated and it’s a holy disgrace. The stuffing, like anything baked with this squash, is creamy and much too good. Sage and sausage really is a great combination. I think fresh is best when it comes to sage in this recipe, but you could try it with dried, reduce it to a third of what you’d use in leaves. It was really hard to get suitable sausages for me, I had to buy them in Marks and Spencer’s and they’re really costly. I can’t eat added starches, so it has to be all meat and little else. 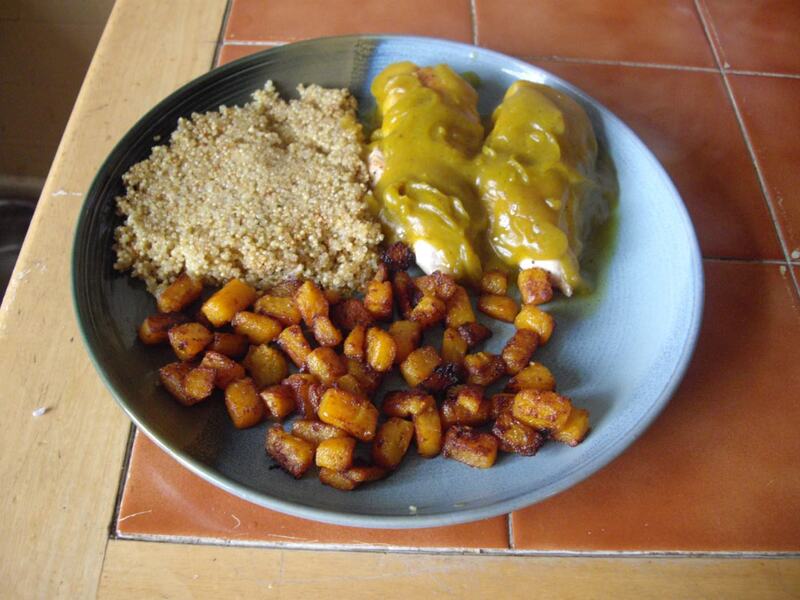 The availability of ingredients made this recipe a must try. I had fresh sage growing, harlequin squash cured and sausages in the freezer. That’s a rarity. As I say below you can grill the top for a crispy layer and you can ball it, but they won’t crisp up. They still taste the same it’s just messier than scooping it into a dish. This doesn’t freeze due to the sausage and sage. It’s nicest fresh anyway. 1. Steam the Harlequin Squash and place into a bowl. Set aside. 2. Chop the Onion finely and fry in Butter until translucent. Add the Sage and fry for one minute. Add the Onion mix, the meat from the Sausage, discarding the casing, Salt and Pepper to the Harlequin Squash and mash everything together. 3. Scoop mixture into a greased baking dish and smooth down. Bake at 200c (Fan) for half an hour. For a crispier top grill for the final 5 minutes. I tried to make it fancy…Really. 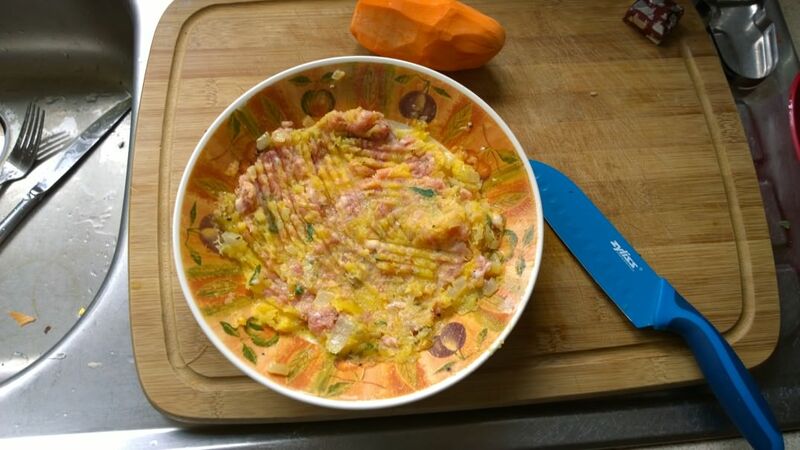 I’ve seen a few vegetable thickened gravies around, but the problem was either a vegetable I couldn’t eat or there was just too many ingredients or, rather, too specific ingredients. So I decided to tackle it myself. 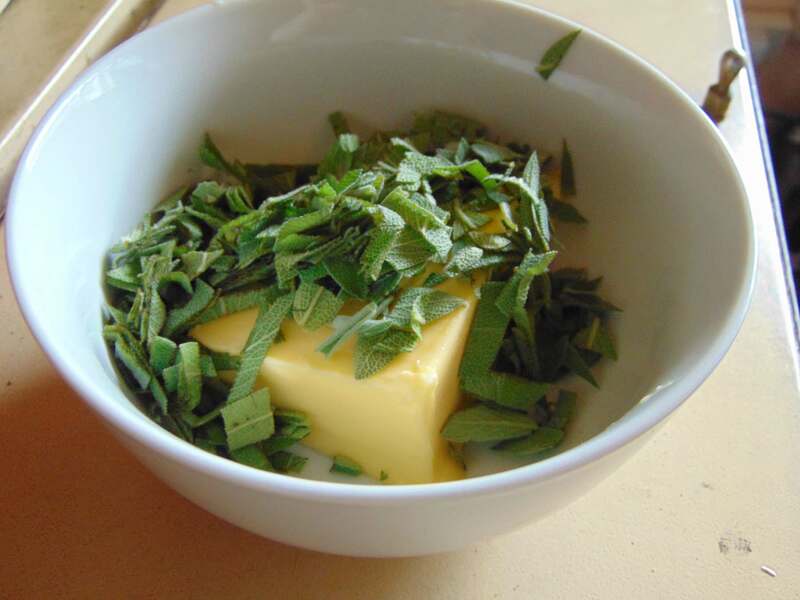 This is pretty loose as ingredients go, you could take out the herbs here and replace them with what ever you’d prefer. Add a bay leaf, toss in fresh meat juices, whatever you like. I really was surprised how little this tasted like Butternut Squash in stock, the taste is there, but it’s not over powering, the herbs really shine through and the squash gives it a rich, thick texture without being heavy. I’ll be honest, gravy for me was usually just packaged stuff so I don’t really have any tricks or secrets to share. Fresh herbs are a game changer, but dried are fine too. It’s stupidly simple, but a really tasty gravy. 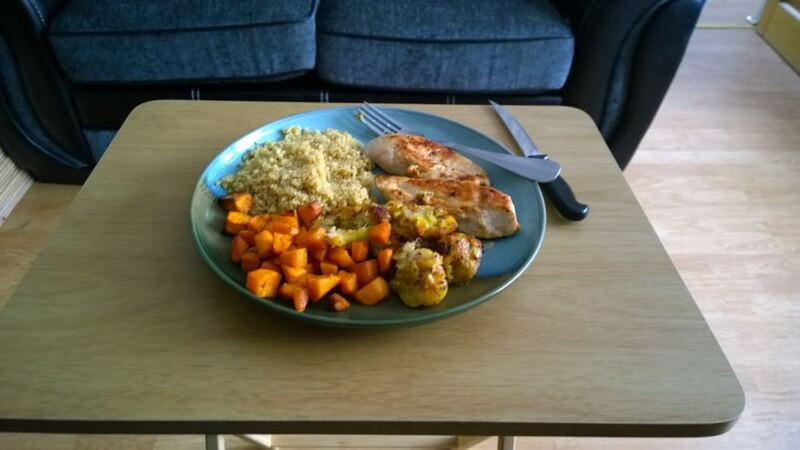 The problem with being a single cook is that a squash leaves a lot left over. I had some Sautéed Squash with this and I still have three servings of gravy in my freezer. It’ll be fine, I’ve had a similar recipe in my Squash Pasta and that heats as well after being frozen as it does when cooked fresh. 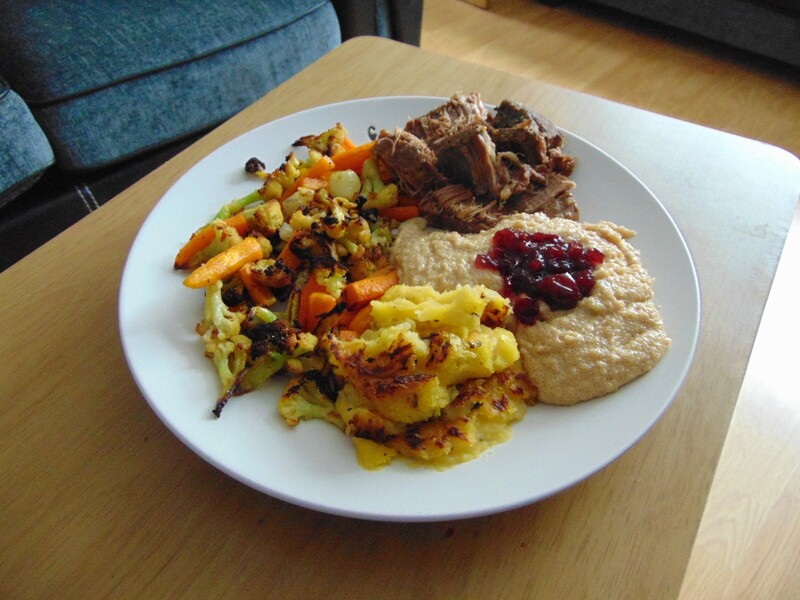 You could conceivably use any vegetable, but you may be best to stick to something that wouldn’t over power the dish. I remember seeing a recipe for white sweet potato gravy, somewhere. Sadly I can’t get a wide selection of vegetables where I am, but the squash works well. If you needed a nut free, flour free, vegan etc option this would be great for the holidays, or any day. I have one more recipe, hopefully it works out, incoming, but that should end the deluge of posts. Back to normal next week or as normal as this posting schedule gets. Until later. Goodbye and good gravy! Makes 4 Servings. If making individual servings portion it out (About 200ml each) after blending and freeze it. Defrost when wanted and use as normal. 1. Add everything to a pot and bring to the boil, stir it up, reduce to a simmer and cook until squash is tender. 2. Pour into a blender and blitz until smooth or use a stick blender. Return it to the pot or a pan and cook on a medium heat until gravy has reduced to desired consistency. It’s not soup. Well, it is, kinda. Let’s call it gravy.